The General Assembly may have adjourned sine die in March, but the legal flap over the final night party events doesn’t seem to have a finish line in sight. 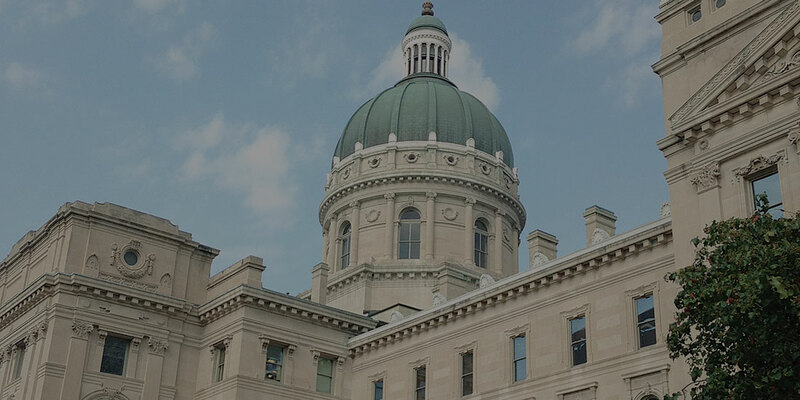 Indiana Attorney General Curtis Hill (R) has chosen to take the offensive on the sexual harassment allegations against him, retaining top criminal defense and employment law attorneys to preempt the legal investigation he faces and discredit the allegations. While he wouldn’t answer our questions about his legal team, Indiana Attorney General Hill’s first move was to quietly bring aboard the top criminal law defense duo of Jim Voyles and Jennifer Lukemeyer to represent him in the pending action before Marion County Superior Court by Marion County Prosecutor Terry Curry (D) for appointment of a special prosecutor, No. 49G04-1807-MC-022315. Judge Lisa F. Borges of the Criminal Division is overseeing the process . . . and we hear that at least one retired senior prosecutor has already turned down the job. Everyone’s “go-to” criminal defense lawyer Voyles and his partner contend that there is no need for a special prosecutor to be named because “in fact there has been no criminal allegation or report made to law enforcement authorities …. and thus said ‘information’ provided to the Marion County Prosecutor’s Office would not warrant a prosecutor’s involvement. Thus, the appointment of any Special Prosecutor is premature at this point.” Of course, you’re old enough to remember that it was just on July 6 that Indiana Attorney General Hill issued a statement in which he unequivocally said this: “I demand an independent investigation by the Marion County Prosecutor’s Office, where my constitutional rights are respected and protected.” The only reasons the MCPO team is seeking a special prosecutor is because it is conflicted out of the case because Hill’s office is representing the prosecutor’s office, as required by state law, on two high-profile civil appeals. And it’s interesting that Hill had sought a Democratic prosecutor to look into his cause. The Hill motion further suggests that the vagueness of information available limits “the appointing judge’s ability to define the scope of any investigation to be conducted by a Special Prosecutor.” Attorneys for Hill argue that as currently presented, a judge “would be factually prohibited from defining the scope of the duties of any special prosecutor because there is no specified information or complaint available.” Hill believes a special prosecutor designation “is premature and/or anticipatory” and amounts to appointing a prosecutor in a vacuum.” A Thursday response from Prosecutor Curry labels the Hill Betz, a law clerk to then-Chief Justice Randall Shepard almost three decades ago, came to that post with a journalism pedigree, and is well-schooled in the ways of the State House and media. He is at the top of anyone’s list of employment law attorneys not part of one of the city’s large law firms, and has represented clients in employment grievances with the General Assembly and Legislative Council, making him familiar not only with the current players in the drama from the Third Floor, but how the process works formally and informally, and politically and legally, an important perspective that not everyone can bring to the table. Betz contends that the only viable claim for anyone arising out of the entire chain of events is one by Hill for defamation. Pursuing the leaker could be politically intriguing. If the leak came from within the legislature, was it done to embarrass Hill, or to put leadership on the spot for not publicly taking action? Betz did not take issue with the IndyStar publication of the details of the memo, nor with the ultimate advice and conclusions of the Taft Law partner who prepared the memo (Betz made it clear throughout that he concurred that the findings “did not raise a substantial question as to Attorney General Hill’s honesty, trustworthiness or fitness as a lawyer”). Betz says that the firm is still “gathering information with which to evaluate a lawsuit,” but believes that the Attorney General has “a solid basis to do so,” and attorneys with the firm “plan to move ahead” toward such a filing; other attorneys tell us that if they do file, Hill would likely be met with an antiSLAPP lawsuit. “We are not going to jump to conclusions” and file before completing an investigation, Betz says, unlike the Governor and others did acting in a “purely hysterical” manner. While he acknowledges that a defamation action involving a public official presents a much higher hurdle than one against an ordinary individual, Betz says that Hill “can clearly meet that higher standard.” He added, “We believe that can be and will be shown for the facts as we know them,” running through each required element and explaining that the “false and malicious information” was “communicated with defamatory intention and malice.” We cannot recall any Hoosier state official ever suing anyone for defamation. The attorneys for Hill spent time dissecting (to an even greater extent than did AG Hill himself when he read his public statement deploring what he saw as a lack of due process in the public piling on and pillorying through which his name was sullied) the inconsistencies between the statements made about events and alleged assaults in the memo and what the trio of women (one remains anonymous) who have identified themselves as the subject of what they say were unwanted advances by the AG have since said publicly. He added, “With alcohol flowing, perceptions are a very difficult thing to come to a firm conclusion about,” but wouldn’t comment on whether his client may have been drinking. “And sometimes no one’s wrong, no one’s right, they’re both right and these are simply different perspectives and conclusions.” Betz noted that no corroborating or contradicting witnesses were interviewed, nor was Hill. When pressed about the assorted information inconsistencies and whether it was possible that Hill himself simply couldn’t recall having touched the women, Betz conceded, “It’s possible. Anything is possible.” Blevins says Hill denies having touched any of the women inappropriately. So where does all of this go from here? Good question. The Marion County courts must rule on the special prosecutor motion, and that’s probably the next tangible action you will see. There’s no reason for Inspector General Lori Torres to do anything but keep her head down and continue the OIG independent investigation. Hill has raised some of the same questions under IC 4-2 that we had posed for you about the authority of that probe, but, as we pointed out, there’s a catch-all clause in the IG’s mandate that effectively allows the office free rein, and we presume that Voyles and Lukemeyer simply tossed in that argument to cover all their bases. The Betz+Blevins event was also designed to put everyone involved (and potentially involved) on notice that Hill would not sit idly by and watch his reputation be trashed. That served notice on those who provided the information for the memo and who may have leaked it that any further activity won’t be tolerated . . . and to the state officials and legislative leaders who have called for Hill to step down that not only will he not do so, but he will aggressively fight back legally — and probably politically. While the latter may not seem important given the nature of the assorted legal proceedings, bear in mind that Reps. DeLaney, Ryan Dvorak (D), and Matt Pierce (D) — three of the four attorneys in the House Democratic Caucus — are asking Speaker Bosma to launch an investigation into whether Indiana Attorney General Hill should be impeached (recall that Speaker Bosma has already called for Hill’s resignation). Impeachment, of course, involves entirely different standards than any criminal investigations that are pending or proposed, and are much more premised on politics, effectively tried in the court of public opinion, which makes the extra-legal work of Betz+Blevins all the more relevant and important, regardless of whether they might ultimately file any lawsuit. The problems associated with impeachment, however, are many. The process has apparently never been launched in anything resembling modern history, and there has been no interpretation of the appropriate standards or levels or burdens of proof. Procedures have not been established for how House impeachment proceedings would transpire, or how a subsequent Senate prosecution would play out. Outside counsel and experts would also likely be retained at considerable state expense. And wasn’t it just a few months ago that lawmakers agonized over a $30,000 one-day special session cost? Even once procedure were established, this process would almost inevitably and expensively drag on (to no apparent benefit of the public). If this would not be conducted in special session, then we’re looking at this dragging out for longer than anyone wants . . . and also interfering with any potential legal proceedings (and wouldn’t it be a bit messy for impeachment and judicial proceedings to take place on a concurrent parallel path?). But those advocating exploring the avenue of impeachment make a good case — particularly if Hill is correct in that there is no judicial role. As the legal and legislative drama plays out, Hill is also fighting back on another level. We told you about how the Rev. Charles Harrison, founder of the Ten Point Coalition, an entity supported financially by the AG’s Office under Hill, was defending the AG in Indianapolis, and now another member of the clergy emerges with support for the embattled Hill. Lead Pastor Phil Byars delivered a sermon at the First Baptist Church of Elkhart about the situation with Hill’s wife in attendance. “Satan is at work and there’s a real war going on. He’s trying to discourage our brother Curtis,” he said. Pastor Byers allowed WSBT-TV in South Bend to broadcast parts of that sermon because, he told the station, scripture says to believe in the best of people. In part, Pastor Byars told his congregation, “What bothers me, if I could just be real with you on this, is that there are brothers who are already making decisions about this before there is any evidence or any verdict in the matter at all,” he told the station. “I called Curtis, and I’ve talked to him several times this week and just talked to him about ‘What’s going on, Curtis?’ He’s like, ‘There’s no truth to this, Phil, at all. They’re just trying to smear me. They’re just trying to stop me. They’re seeing that I’m having influence, and they’re trying to stop me from having influence,’ ” said Byars, not revealing who “Satan” or “they” are. Need we reiterate what we’ve been saying since the start? This will not end well for anyone, and shows no signs of ending soon. And what happens when some plucky lawmaker or prosecutor files a request for an official opinion from the Indiana Attorney General’s Office about the propriety and authority of the assorted investigations?! Note: A family member of this newsletter’s publisher consulted Betz for legal advice some three years ago, but never retained him or the firm.